I am not a great critic, I am not a critic at all for that matter of fact, but I have always felt a special liking for Rasipuram Krishnaswami Iyer Narayanaswami or in short R.K. Narayan’s stories. 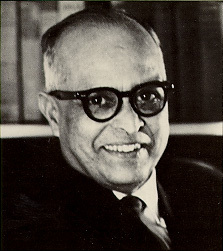 I have read only some of his works, but whenever I find a R.K. Narayan book I never miss it even if its during the exams. The first time I read an R.K story was from my English text in school. I must be absolutely certain about the psychology of the character I am writing about, and I must be equally sure of the background. I know the Tamil and Kannada speaking people most. I know their background. I know how their minds work and almost as if it is happening to me, I know exactly what will happen to them in certain circumstances. And I know how they will react. And maybe this is the reason why feel all his stories as a incidences from our life. many times I have searched the map for a city called Malgudi It never seems a fictitious place, such is the detail that he has given about the place. Malgudi was an earth-shaking discovery for me, because I had no mind for facts and things like that, which would be necessary in writing about Malgudi or any real place. I first pictured not my town but just the railway station, which was a small platform with a banyan tree, a station master, and two trains a day, one coming and one going. On Vijayadasami I sat down and wrote the first sentence about my town: The train had just arrived in Malgudi Station. Some say Malgudi resemble Coimbatore anyway you can learn more about such details from this link . Whom next shall I meet in Malgudi? That is the thought that comes to me when I close a novel of Mr Narayan’s. I do not wait for another novel. I wait to go out of my door into those loved and shabby streets and see with excitement and a certainty of pleasure a stranger approaching, past the bank, the cinema, the hair cutting saloon, a stranger who will greet me I know with some unexpected and revealing phrase that will open a door on to yet another human existence. You never know what you are good or bad at, without trying it out. Glass painting as an art form is a combination of both folk and fine arts and since middle age it was used for sacral painting. Later spread its root to Italy and influenced its Renaissance art. In the mid of 18th century it became favored by churches and spread to entire central Europe and in 19th century it became a main folk art in Austria, Bavaria, Moravia and Slovakia. 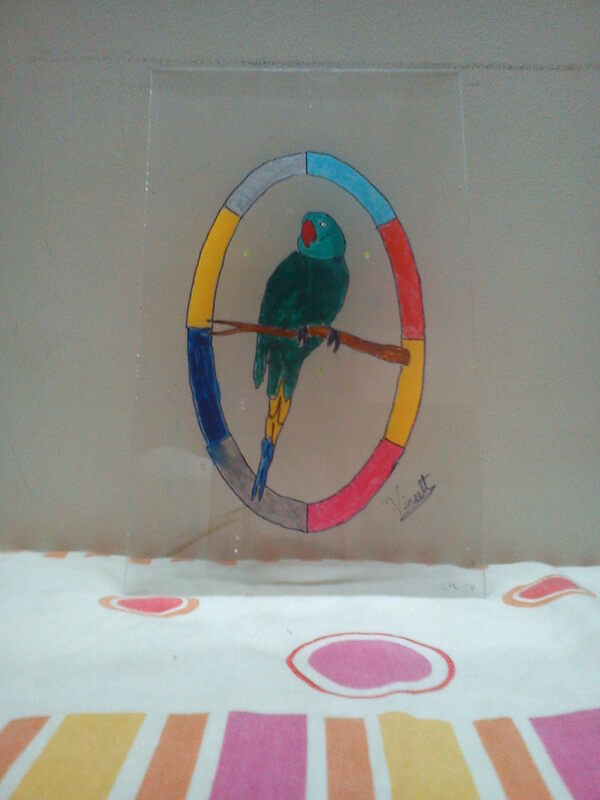 In India, Glass painting took birth in the state of Gujarat (around eighteenth century). As a subjective art Glass painting came into picture in India when Chinese artists settle down near coastal region of Gujarat state. There is no decisive acquaintance about the foundation of Glass Painting in world, but some assumption are made that may be Egypt or Byzantium has introduce Glass painting technique in 4th century A.D. France, England, Germany (14th century), Italy (16th century) were the next places where the Glass Painting art enormously flourished. 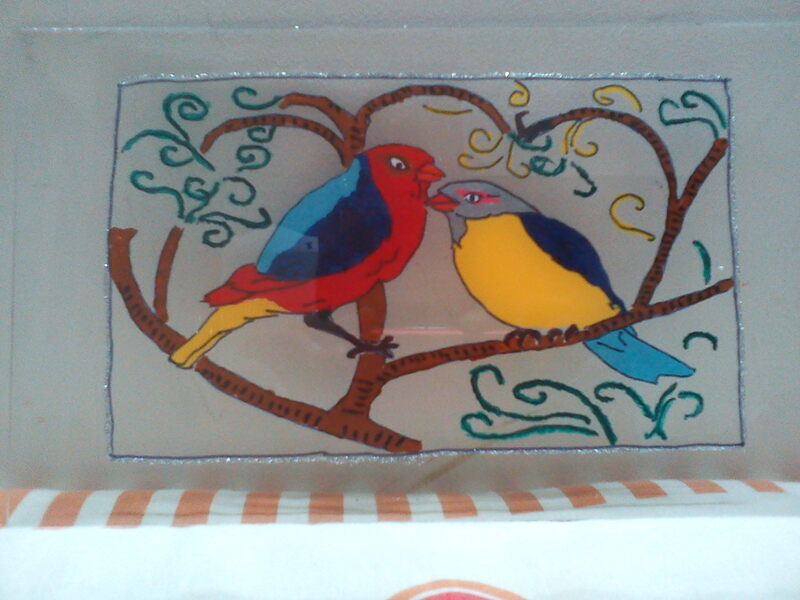 Glass painting is one of the best options one can opt to transform their lifeless wall with a work of genius. First take a picture or pattern you like to paint. Take a glass piece of required size ( I used acrylic sheets as they are easier to handle) . Thoroughly clean the glass surface with soap water or use thinner for cleaning. Use cotton or clean cotton cloth for cleaning. Make sure that glass surface is always clean clear and dry before starting the painting process. Place the glass piece over a flat surface table. Put the proposed glass painting pattern underneath the glass piece and ensure that it does not move. Now time to start your process of outlining I used a pointed tip marker pen to trace the pattern to the glass. While making outline you must be very careful because your outlines should be thin, clear and precise with out scratches and cuts. Once outlining is over, its time to color the design now the important thing to remember here is that a glass painting is viewed from the reverse side, so while painting make sure the details are done first. Always remember that you are painting will be viewed from reverse direction. 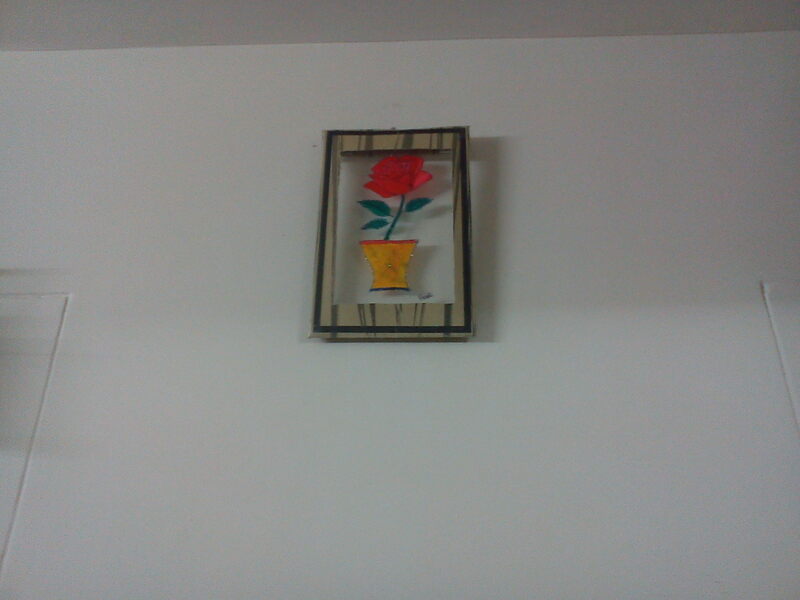 When the drying process is over and the paint get completely dried you can frame the painted glass . http://www.glasspaintings.org This link will guide you in the right path.